Each year on the frozen St. Anne River, a city is reborn. It is a city of parks and plowed roads, electricity and brightly colored storefronts. 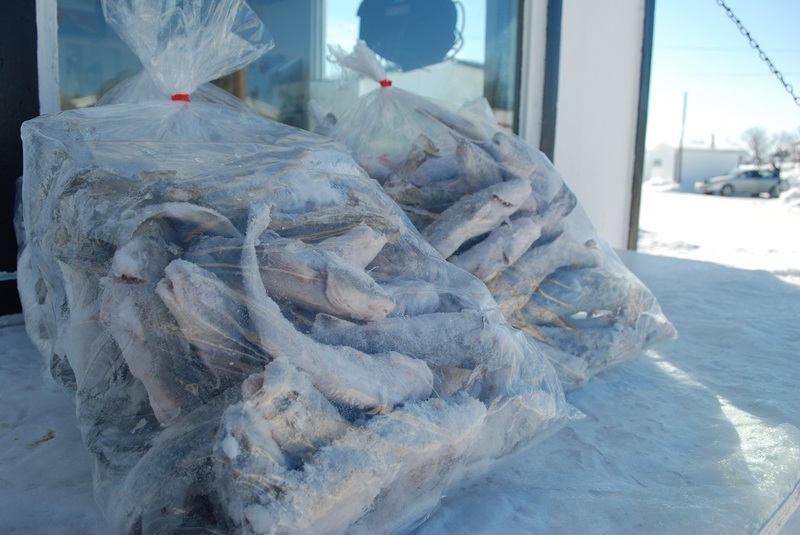 It is a city of shacks – hundreds of small ice fishing shacks. Wood smoke wafts out of each chalet, trailing off into the frigid Québec air. 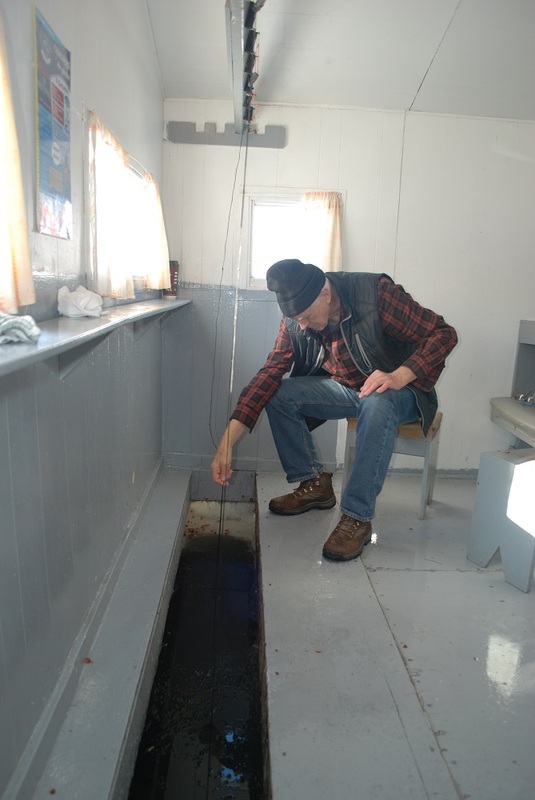 Inside each shack, fishermen focus on the icy water beneath them, trying to outwit the microgadus tomcod – or tommy cod – that inhabit the river bottom. These small migratory fish come annually to the shallows in front of Ste-Anne-de-la-Pérade, a small town to the southwest of Québec City. My longstanding and favorite fishing partner – my dad – and I decided to try our hand at this Québec tradition and rented a cabin in the frozen river city. Warmed by a wood stove fire, we fished through a long rectangular hole in the ice over which was an equally long 2 x 4 that held a dozen or so fishing lines. No fine monofilament here, mind you; this was thick decoy string that extended directly to river bottom. Apparently the tommy cod are not finicky. They certainly were not coy on that day; we caught a steady stream of them over the course of the day. Sometimes, the double hooks on the ends our lines brought up two fish at once. Most of our catch went back in the water, but we kept a few to make a meal later. There are 6 days left to rent a shack on the St. Anne River. So get there this week to fill your creel with cod. After February 15th, the city on the ice will disappear, gone till next year. these fish are really cool! Love that, would like to put ice fishing on my bucket list. Will be back to Quebec soon. Thanks for sharing — this looks really cool, or should I say Rad! Thanks for the ice fishing update. The fishing shacks look fun. I learned interesting info about the tommy cod. Enjoy the cold temperatures for a few more days before the ice city disappears. I’ll put it on my bucket list for next February! Can I buy frozen tomcod and have it shipped to Ontario?